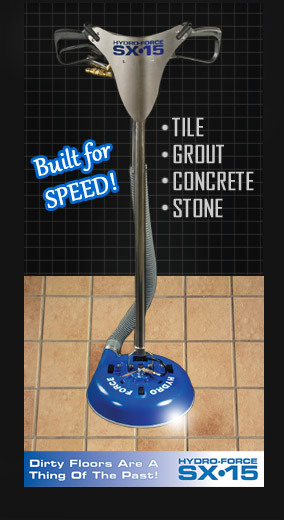 Make quick work out of any job with the industry’s most advanced hard surface tool. 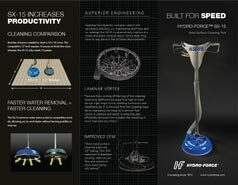 Hydro-Force™ has done it again! 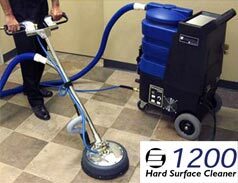 Using the latest technology and feedback from customers, we’ve created the industry’s most advanced hard surface cleaner. The SX•15 makes any hard surface job a breeze. 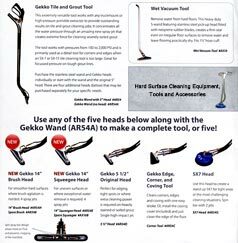 Unique airflow system improves recovery of water and allows the SX•15 to be used with portables or truck mounts.